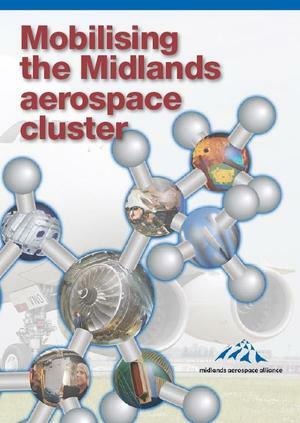 Like the Great Lakes region in North America and the Paris region in France, the Midlands hosts one of the world's major aerospace clusters that does not make aircraft. Yet the Midlands is home to over one quarter of the UK aerospace industry, 7% per cent of Europe's and 3% of the world's, with over 45,000 full-time-equivalent jobs due wholly to revenues from manufacturing for global aerospace markets -- without counting the region's airports and military bases. Several major global aerospace players have important operations in the region. The principal hub of the cluster is the heart of civil aerospace operations at Rolls-Royce, the world's second largest manufacturer of aircraft engines, in Derby. Rolls-Royce accounts for one in four of the cluster's jobs. Radiating from this hub across the East and West Midlands are the supply chains that define the cluster's nerve system, linking the local nodes where aero-engine parts are made and where electronic and mechanical systems that control how the engine operates are designed and built. A second cluster hub is organised around the companies Collins Aerospace, Rolls-Royce Control Systems, Meggitt and Moog, in Birmingham, Wolverhampton and Coventry, which supply electro-mechanical systems to control aircraft moving parts — wing flaps and slats, landing gear, wheels and brakes — to aircraft makers like Airbus, BAE Systems and Boeing, and (as above) similar control systems to Rolls-Royce and engine makers across the globe. At the base of the supply chain, the Midlands hosts the UK's specialist aerospace materials producers including Alcoa (aluminium) and Timet (titanium) in Birmingham, Special Metals Wiggin (specialised alloys) in Hereford as well as Cytec (carbon fibre materials) in Derbyshire. The strategic position the Midlands occupies in the global aerospace industry is one of developing and manufacturing complex sub-systems for the world's aircraft and aero-engine makers. 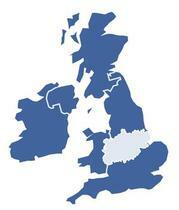 Accordingly, Midlands companies sell their technologies to diverse makers of civil aircraft and aero-engines made the world over, with surveys indicating that 75% of the region's revenues come from civil markets, compared to a 50/50 civil/defence split for the UK as a whole. Midlands contributions to the latest Airbus A380 super-jumbo and Boeing 787 aircraft show how robust the cluster's economy has become – winning business whether Airbus or Boeing are in the global aircraft sales lead. More than 70 Midlands companies supply the A380, even versions powered by GE rather than Rolls-Royce engines -- which have many more Midlands suppliers. 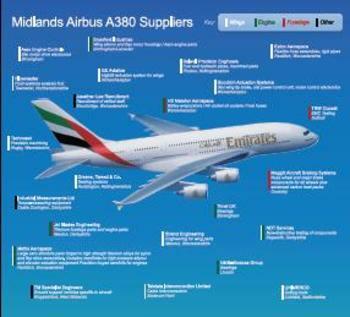 Download this high-resolution graphic of Midlands suppliers to Emirates' GE-powered A380s. 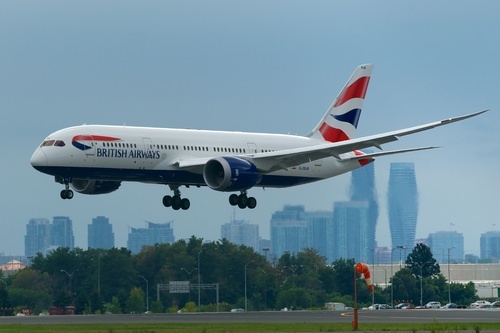 Participation in the 787 programme is part of a growing Midlands trend of supplying Boeing aircraft programmes, once entirely US products, through aggressive diversification strategies aimed at the world's biggest aerospace market. Meggitt in Coventry and Redditch-based Mettis Aerospace supply components to the aircraft's alternative GE GEnX engine. 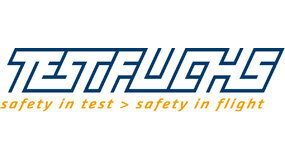 Mettis supplies US firm Collins Aerospace Systems with key components for the 787's air management system. 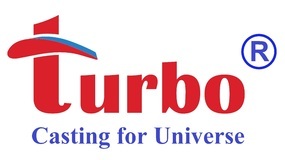 ITP Engines UK in Rugby and Leicester is a significant supplier of software knowhow and other technology support for the GEnX engine. 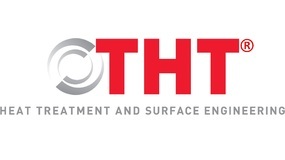 The Trent 1000 itself includes parts from many other Midlands firms in the Rolls-Royce supply chain.